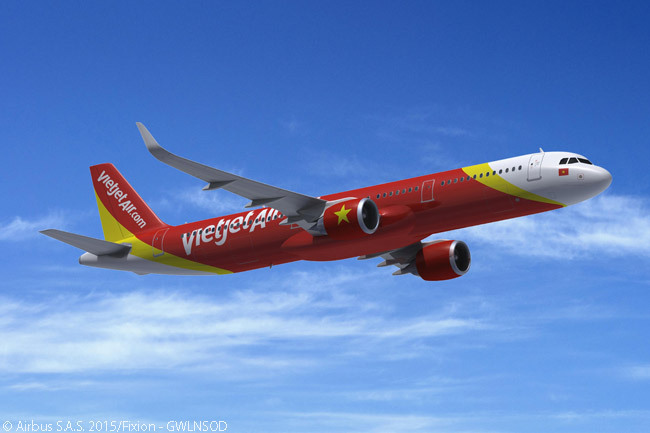 Vietnamese carrier VietjetAir has placed a firm order with Airbus for 30 more A321s, nine of them current-generation A321ceos and 21 A321neos. The order was signed at the Dubai Airshow 2015 on November 10 by Nguyen Thi Phuong Thao, VietjetAir’s president and CEO; and John Leahy, Airbus’ chief operating officer, customers. Including its November 10 announcement, the airline has placed firm orders with Airbus for a total of 99 A320-family aircraft. These include 12 A320s, 42 A320neos, 24 A321s and 21 A321neos. In addition, VietjetAir is currently leasing at least 17 A320s from operating lessors. 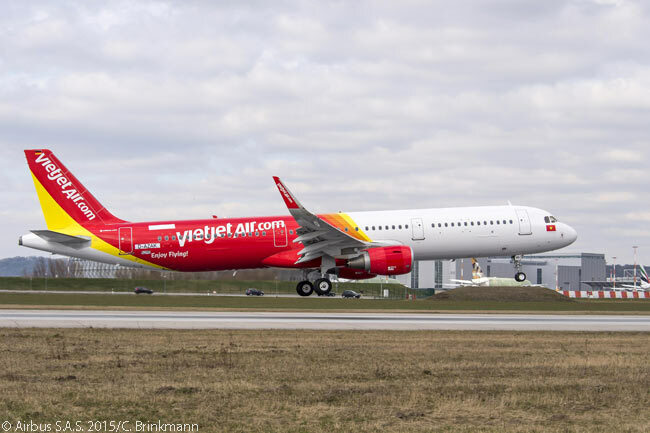 VietjetAir first took to the skies at the end of 2011 and now operates a fleet of 29 A320-family aircraft including three A321s, on a network covering Vietnam and a growing number of destinations throughout Asia. To date, the A320 family has won firm orders for 12,285 aircraft and Airbus has delivered more than 6,700, to more than 300 operators worldwide. Included in its overall A320-family sales total, Airbus has won firm orders for more than 4,300 A320neo-family jets from more than 75 customers since the manufacturer launched the A32-neo-family program in December 2010.